Janina Böhm is a designer and illustrator, creating beautiful stationary for her label Mozaiq Eco Design. And there’s something special about her: She has committed herself to creating only eco-friendly products. 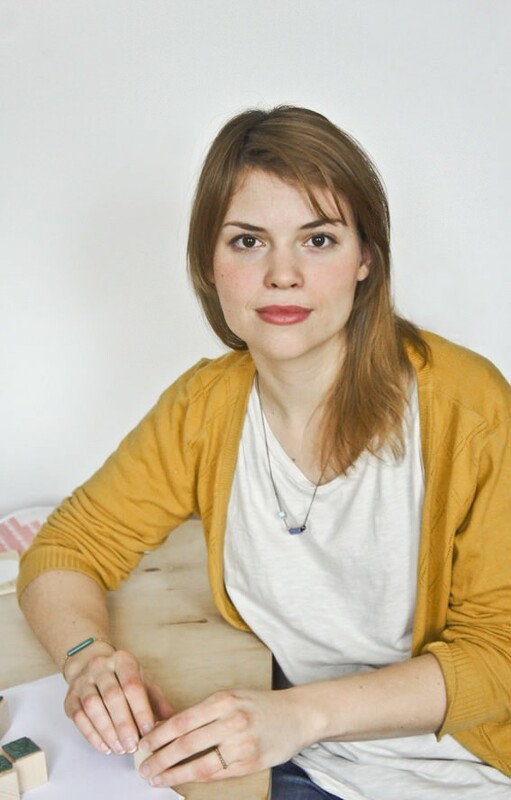 I’ve talked to her about her journey as a designer and her opinions on green living. Tell us something about your journey as a designer. Have you always pursued a career as a creative? Janina Böhm: Yes, absolutely! I’ve always wanted to be a creative. As a little child I loved sitting anywhere doing nothing but drawing all day long. After high school, I first applied for furniture design, but didn’t get in. Nevertheless, they gave me the tip to try illustrating. This worked out perfectly and in 2010 I graduated with a bachelor of design, emphasis on illustration. For the first 1.5 years after my graduation I worked as a freelance illustrator, mainly for magazines or publishing companies. This was a really hard time. I didn’t have the time to execute my ideas and the pay wasn’t great either. In the long run this way of working was quite frustrating. The situation for creative freelancers was and still is not very good. You spend more time writing to potential clients or promoting your work than actually creating. So, at the end of 2011, I decided to say good-bye to editorial illustrations! 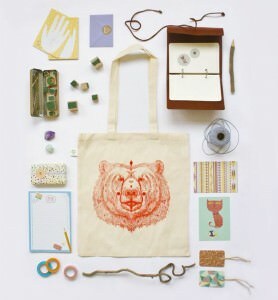 I founded MOZAIQ eco design which sells eco-friendly stationery and design products. My work is finally meaningful and I’m passionate about crafting again. What’s even better: I can experiment in other fields like jewellery or textile design as well. Getting positive feedback from my customers motivates me to keep going every day. I’ve just started a store, that sells products from different small labels like Mozaiq eco design. I’m working hard on developing my brand, so exciting! Why do you produce in a sustainable way? Janina Böhm: I care a lot about living in a sustainable way. That’s why it was only natural for me to work out an eco-friendly way for MOZAIQ eco design as well. For my stationary line for example, the only way for me was working with recycling paper and organic print colors. I think that we use an incredible amount of paper everyday. Why cut down more trees if we can use recycled paper? It’s renewable and just as pretty. And why use mineral oil based colors if everything works just as well with organic ones? As a designer and manufacturer I feel obliged to protect the environment as good as possible. I want to give something that’s good and lasting to my clients that doesn’t promote the destruction of our planet. Combining design and environment protection can be quite a challenge though. I underestimated it at first, but it forces me to go new ways in every stage of the product development. Looking back, all these detours were worth their while and wonderful products have developed from them. What’s an environmental problem you want to eliminate? Janina Böhm: I am against plastic! I think it is one of the most dangerous substances we surround ourselves with. No matter where – clothing, in the bathroom, at the supermarket – there’s plastic everywhere. Living in the Netherlands, I realized how progressive Germans are in the way they think about packaging. For example, in the Netherlands you can only buy in plastic bottles now. You can’t buy any glas bottles at the supermarket anymore. This is really disturbing in my opinion. Just consider: Everybody has about 4 g plastic in ultrafine particles in their organs. That’s quite scary, don’t you think? Even more, there’s a coastal area in Hawaii, where the beach consists of millions of little plastic pieces, not sand. It’s all just rubbish, horrible. Do you have any tips how everybody could incorporate a green lifestyle into their daily lives? Janina Böhm: Yes, of course! Doing without plastic isn’t easy, but everybody can diminish his consumption. This starts with bringing your own bag to the super market or buying at the farmer’s market. Every time you buy plastic, ask yourself: Isn’t there a more environmentally sustainable alternative? Most of the times there is one, which will be of better quality and look better as well guaranteed. Most conventional cosmetic products are full of junk. I would try and look for alternatives in organic cosmetics. Today, they are just as good and don’t have unwanted side effects. The same goes for clothes, I try to avoid the big labels and instead look for small ones. I want to know who made my clothes. Other than that, I really enjoy riding my bike! My boyfriend build me a beautiful racing cycle last year. It gets me from A to B in no time with a lot of fun. And that brings me to my last time: Do it yourself instead of buying!